Driving web traffic to your nonprofit’s website is likely at the top of your to-do list. You’ve invested in it, consistently update the content, post to your blog, and market events through your website. So, of course you want people to see all that great content. Bottom line is, many, if not most, of your web visitors are arriving at your website not for the reasons you intended. And we often do not know exactly why the majority of our website visitors are on our website. It could have been by accident, or to see a specific blog post. Perhaps your event featured an affluent celebrity and the web surfer landed on your page because of that name. In order to better understand how to drive more website traffic, it is important to first understand through which media visitors are landing on your page. Google. the once exclusive noun has turned into a verb, much like its printer / copier cousin, Xerox, did a few years ago. Does the phrase “Can you Xerox that document for me?” come to mind? The vast majority of web users are using Google to identify which webpages have the information they’re searching for. Google’s algorithm for generating this list is of course proprietary, but it is important to find out what search terms are being used to land visitors onto your webpage. Once you’ve discerned your key search terms, use this information to bolster your webpages and make them even more enticing. Social media is a less used, but no less important, means of generating web traffic. This is because the motives and actions of the social user tend to be much more volatile than that of an organic searcher. For the vast majority of this demographic, they will land on your webpage, snoop around for a moment, then return quickly back to Facebook, Twitter, or whichever outlet they were scrolling. Bounce rates tend to be higher and pages per session are often lower with these users. Use this information to adapt your content to meet their needs. Give the information in shorter, digestible chunks. If they’re only on the web page for 3-5 seconds, give them information that is able to be absorbed in that short time span. If someone likes your content enough to curate it, and post it to their own site, it is important to know that. By analyzing which websites are posting your content, you are granted deeper insight into who your target audience is, and what type of information they are looking for. Make a list of those referral sites and analyze their mission statements, or their “About “Us” sections. Discern who their target audience is and figure out who is being sent to your site from their site, and create content accordingly. Starting campaigns is a great way to raise awareness to a specific cause via radio, TV, social media, or other advertising media. Putting your website URL on all advertising media helps to drive traffic. 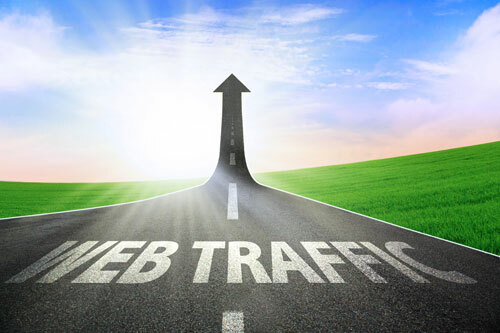 Direct traffic is one of the most important means of traffic. For most sites, it is a consistent performer. Problem is, there is little to no analytical data attached to the direct traffic. Try looking at landing pages to figure out what they’re doing on your website and use that information to give those visitors the information they’re looking for!